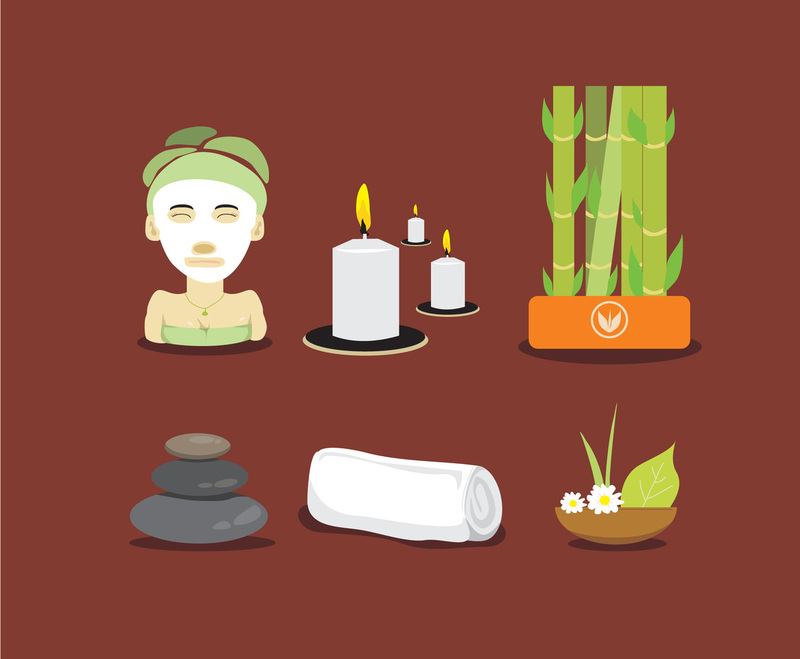 A set of spa treatment vector that includes several relaxing spa activities illustration. In the set there is a girl having facial mask, bamboo, candle, towel, hot stones treatment and herbal product for aroma therapy. Select one of it to fit your design project.